We carry over 150 gel colors from Shellac, Axxium, Gelish, and Jessica. Our clients have commented that other salons do not offer this vast selection of colors. We offer this because the satisfaction of our clients is our focus. 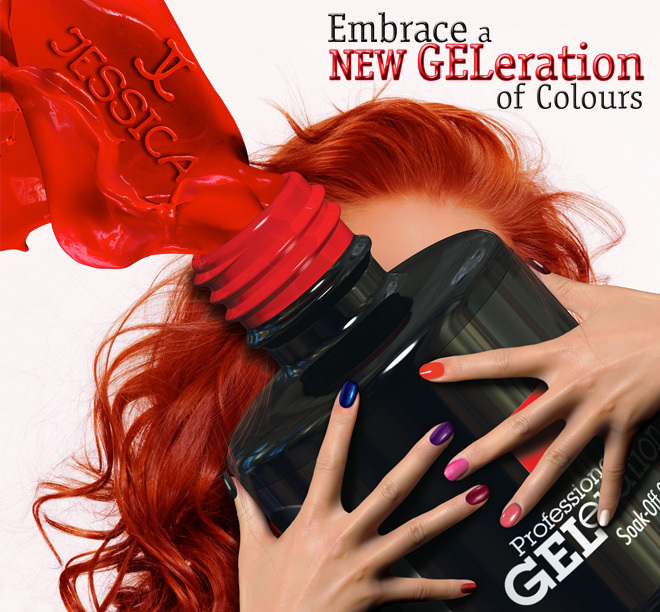 Gel color is also known as soak off gel. It looks like polish but last longer, in part because it is cured onto the nail with an ultraviolet lamp. The best part is that when the manicure is done, you're 100% dry. No Smudging! No Chipping for 2 weeks! Gel manicure is the most popular service requested by clients in today's nail salons. Be sure to visit the ﻿﻿﻿Referral Program ﻿to learn how you can earn points for free services!